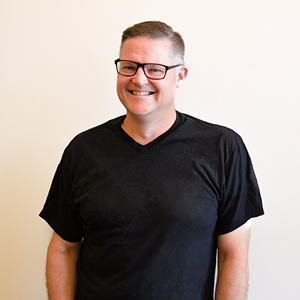 Hang around executive director Randy Hawthorne at the new Foundry coffeehouse for five minutes, and he’ll have run into at least three people he knows. Sitting in a chair by the window, he’ll wave to you before you even set foot in the place. Building connections is second nature to Hawthorne, who has long been involved in marketing and community building in Lincoln. To him, it’s the driving force behind the new public meeting space and coffee bar attached to the Foundry coworking space on 14th street. “The first weekend we were open, tables just kept getting shoved together and people just kept coming from different parts of my life and getting to know each other, it's really kind of funny,” Hawthorne said. Along with coffee, the Foundry menu is centered around shareable snacks, like Charcuterie boards. During the busy first opening weeks of the coffee shop, Hawthorne brought one out to try. Previously called Nonprofit Hub, the coworking space opened in 2015 and was born out of Hawthorne’s online resource for helping new nonprofits get on their feet. 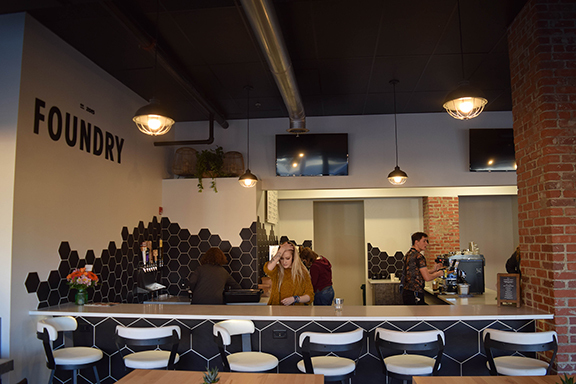 When Goodscents moved out of the retail location in the Nonprofit Hub building, Hawthorne’s team decided it was time for a name change to be more inclusive of the community they wanted to attract with the addition of a public coffee bar. Online, Nonprofit Hub still has a national audience, with around 40,000 emails going out every week to people with nonprofits all over the world. Its staff works in the upstairs Foundry coworking space along with other nonprofits consisting of small teams or individuals. 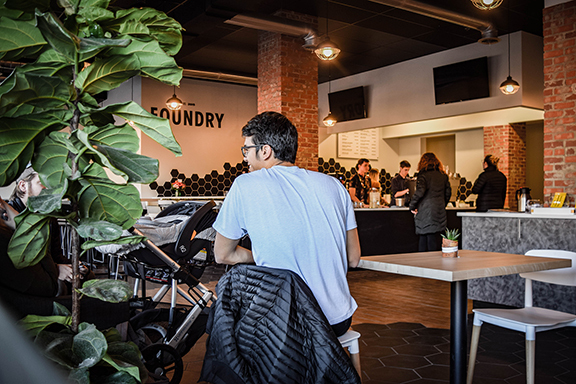 In the Foundry coworking space, members share WiFi, printers, meeting rooms and of course, coffee. Hawthorne said the Foundry is in good company with the other coworking spaces that opened in Lincoln at around the same time, like Fuse in the Haymarket and Turbine Flats at 21st and Y streets. Attaching a coffee shop to the coworking space was an amoebae of a process, Hawthorne said. One of the biggest draws was that it’s an earned income opportunity for the coworking space, so membership rates can remain low. Another was that early on, the Foundry board decided that the coffee bar would be 100% give back. However, the Foundry wants to be clear that they’re not just opening a coffee shop—that’s not the purpose. The opening of the coffee bar has already led to tours of the coworking space from people who have come in and said they’ve been working from their living room. Hawthorne said there is a lot to be said about being around a community rather than isolating yourself working from home.